Christmas comes once a year and if you’re looking for something fun to do during the festive period, take a look at our ultimate guide to Christmas events in Manchester. Go to a Christmas Theatre and Concert. Liverpool and Manchester are both home to a number of theatres and concert halls. 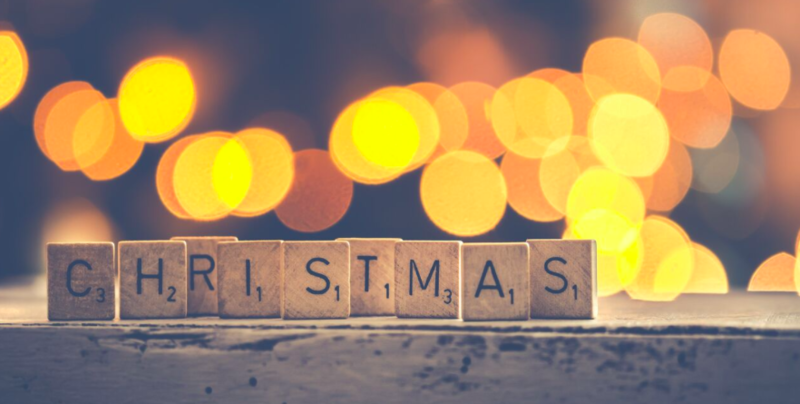 Currently selling their Christmas tickets, whatever you’re looking for, you’re bound to find family fun shows, hilarious comedies and Christmas themed dances. From the Stick at The Lowry, Wicked at The Palace Theatre, Cinderella at Opera House, Snow White at Bolton’s Albert Hall and the Forgotten Forest of Discos at Contact Theatre, you’re sure to find a show that everyone will love. Enjoy a Christmas Light Switch-on. Manchester, Bolton, Liverpool, Oldham, Bury, Wigan and more. Watch out for celebrity guests, entertainment, food and drink, and Christmas stalls. Just remember to wrap up warm! Visit the Christmas markets.Take the whole family along to the UK’s original, award-winning markets. There’s also Tameside, Rochdale, Ramsbottom and Wigan markets which will be loved by all ages. Go Ice Skating.First Street by Deansgate Locks will be hosting Manchester’s new ice rink as well as plenty of food, drink and entertainment options to enjoy. There’s also an Ice rink in the market’s Ice Village, which will be the UK’s biggest ever ice attraction! Experience 10 free light experiences.Head to Salford Quays, from the Plaza between The Lowry and the Lowry Outlet to MediaCityUK at Quays Culture’s Lightwaves lights up the sky for a breath-taking and FREE display. Head to Chester Zoo.Watch your little one’s eyes lights and their imaginations run wild on the magical night time journey through Chester Zoo. Take a wintery family walk.In MediaCityUK, this Christmas, a collection of 12 beautifully decorated The Snowman sculptures are waiting to be discovered on this family-friendly trail to mark the 40th anniversary of Raymond Briggs’ heart-warming tale, The Snowman. The Chill Factore.Boasting a real snow and experience a Christmas like no other, Santa will be waiting to meet your little elves throughout the festive period. Visit Europe’s tallest walk-in Christmas tree at Cheshire Oaks. Plus, why not grab some last-minute festive bargains? Enjoy carols at Tatton Park’s annual carol concert, set in their stable yard with a live band. You can’t beat it for seasonal atmosphere. Meet Father Christmas. Santa has been a busy man this year and has meet and greets set up around the North West. He’ll be visiting Chill Factore, Tatton Park, Trafford Centre, The Arndale, and Bruntwood Hall to name a few. Go to a Christmas Food Festival. Tease your taste buds at Tatton Park’s magical Christmas Mansion themed to ‘Food Glorious Food’. Festive Cinema: It’s a Wonderful Life. The People’s History Museum will be showing an iconic story of Christmas cheer and solidarity as well as offering festive treats and snacks. The Science and Industry Museum. This festive season it’s all about the magic of light. Explore light collections, conduct experiments, take part in special Light Battles, become a Light Detective and solve mysteries in Fluorescent Workshops. At Kaytons, we wish everyone a very merry Christmas!